If users have questions or concerns regarding this statement, or feel that Wattpad has not complied with the Policy, they should first contact contact@wattpad.com. Wattpad stores information as described below that could be used to identify users ("Personal Information") on the Wattpad servers for the sole purpose of providing the Wattpad service to users. Wattpad also stores certain non-personally identifiable information using log files. The following paragraph describes the Personal Information collected on Wattpad servers: email address, name and mailing address, telephone number, payment and usage records. The email address of account holder is used for confirmation of a successful account creation. Account holders can opt out from the updates at any time by logging into their account to modify their update preference. Users also have the right to opt in or opt out of communications related to such services as, but not limited to, new application launches, promotions, Wattpad contests and events. Wattpad may also collect the account holder's cell phone number if the account holder opts in to an SMS alert service. On rare occasions it is necessary to send out a strictly service related announcement. For instance, if the service is temporarily suspended for maintenance, Wattpad might send users an email or SMS message. Generally, users may not opt-out of these communications, though they can deactivate their account. However, these communications are not promotional in nature. Wattpad communicates with users on a regular basis to provide requested services. In regards to issues relating to their account, Wattpad replies via email or phone, in accordance with the user's wishes. Occasionally, Wattpad' site requests information from users via surveys. Participation in these surveys is completely voluntary and the user therefore has a choice whether or not to disclose information. The requested information typically includes marketing or product feedback information and, in some cases, optional contact and / or demographic information. If provided, contact information may be used for testimonials or to request additional feedback information. Users will be advised and given an opportunity to consent or opt-out of such uses. Anonymous survey information will be used for purposes of monitoring or improving the use and satisfaction of the Wattpad website and Wattpad service. Users' Personal Information is not shared with third parties unless Wattpad provides prior notice and the choice to users. Though Wattpad may use an intermediary to conduct these surveys or contests, the intermediary may not use users' Personal Information for any secondary purposes. Wattpad does not intentionally collect or use personal information about individuals under the age of 13. Consequently, use of this web and mobile internet site and all related services by children under the age of 13 is strictly prohibited. Wattpad reserves the right to delete, move, edit, refuse to post or take other appropriate action with respect to any messages, information or files which Wattpad, in its sole discretion, deems objectionable or otherwise in violation of the terms and conditions of this Agreement. Wattpad may use users' Personal Information to generate aggregated information that does not allow the user to be personally identified or contacted. Aggregated Information shows user activity as a whole rather than on an individual basis and may be used by Wattpad to provide insight on the usage of the Wattpad services. Wattpad allows third-party companies to serve ads and/or collect certain anonymous information when you visit our web site. These companies may use non-personally identifiable information (e.g., click stream information, browser type, time and date, subject of advertisements clicked or scrolled over) during your visits to this and other Web sites in order to provide advertisements about goods and services likely to be of greater interest to you. These companies typically use a cookie or third party web beacon to collect this information. To learn more about this behavioral advertising practice or to opt-out of this type of advertising, you can visit networkadvertising.org. Like most standard Web and mobile internet sites, Wattpad stores and uses web server log files. These files include anonymous information about web browsers, such as internet protocol (IP) addresses, browser type, internet service provider (ISP), referring/exit pages, platform type, date/time stamp, and number of clicks to analyze trends, administer the site, track users' movement in the aggregate, and gather broad demographic information for aggregate use. Such log files are not linked to Personal Information through the Wattpad service. Wattpad may use users' Personal Information to generate aggregated information relating to activity on Wattpad-enabled products and services. This aggregate information does not allow the user to be personally identified or contacted and shows user activity as a whole rather than on an individual basis. This information is shared with relevant Wattpad customers and partners. In the event Wattpad goes through a business transition, such as a merger, being acquired by another company, or selling a portion of its assets, users' Personal Information will, in most instances, be one of the assets transferred. Users will be notified via email prior to a change of ownership or control of their Personal Information. If, as a result of the business transition, the users' Personal Information will be used in a manner different from that stated at the time of collection, users will be given a choice to decline such different use. This Web or mobile internet site contains links to other sites. Please be aware that Wattpad is not responsible for the privacy practices of such other sites. Wattpad encourages its users to be aware when they leave the Wattpad site and to read the privacy statements of each and every Web site that collects Personal Information. This privacy statement applies solely to information collected by the Wattpad web and internet mobile site. Wattpad employs security measures in order to prevent the loss, misuse, unauthorized access, theft and alteration of Personal Information under Wattpad's control. However, no transmission over the Internet can be guaranteed to be completely secure. 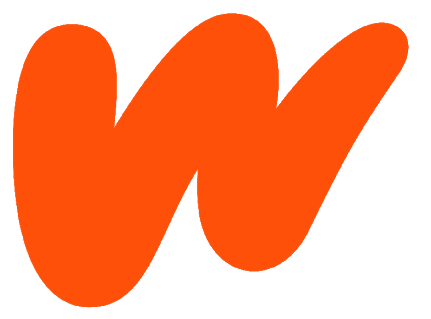 Consequently, Wattpad, its affiliates, subsidiaries, service providers and their respective officers, directors, employees and agents do not represent, warrant or guarantee that Personal Information will be protected against misuse, loss or alterations and do not accept any liability for Personal Information submitted to or collected by them nor for your or third parties' use or misuse of Personal Information.